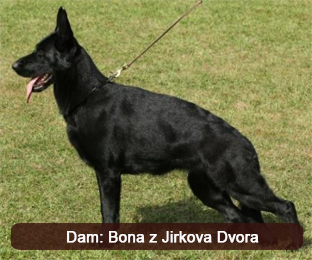 Arma Câini de Politie is the daughter of Quanto Jipo Me and Bona z Jirkova Dvora. Her imposing frame could easily have her mistaken for a male; she further extends her charm with her excellent conformation, her rich pigmentation, her powerful head, impressive bone strength and her enormous and rock solid nerve base. 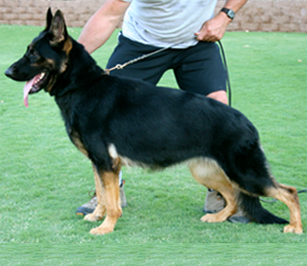 Arma is a serious dog with a strong sense of territoriality that will fight an intruder with or without her handler’s presence. Arma is well socialized and has an instant on and off switch that shows off her superb nerve base, as she can engage a decoy in one instance and be gently playing with the kids in the next. Her intelligence is shown in her knack to read any situation that she is in and she’ll remain neutral but so ever vigilant! 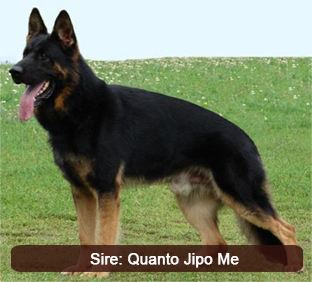 Until she receives instructions and commands from her handler. 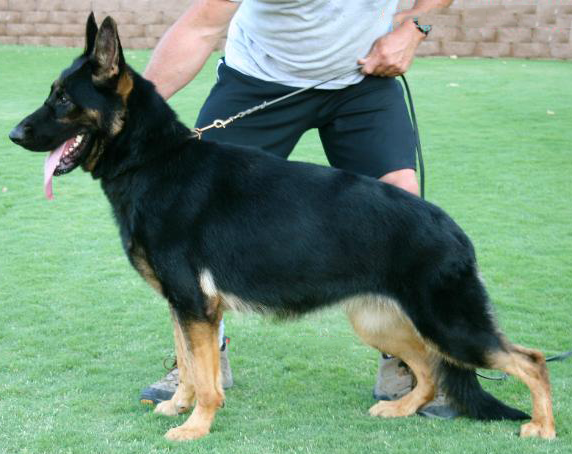 We know Arma to throw serious and hard dogs in her breeding’s with optimum health and hip and elbow scores. 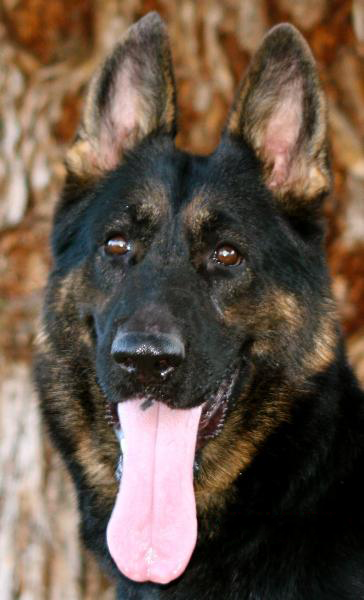 The pups that she produces are suited for law enforcement work and family protection…all depending on their training.